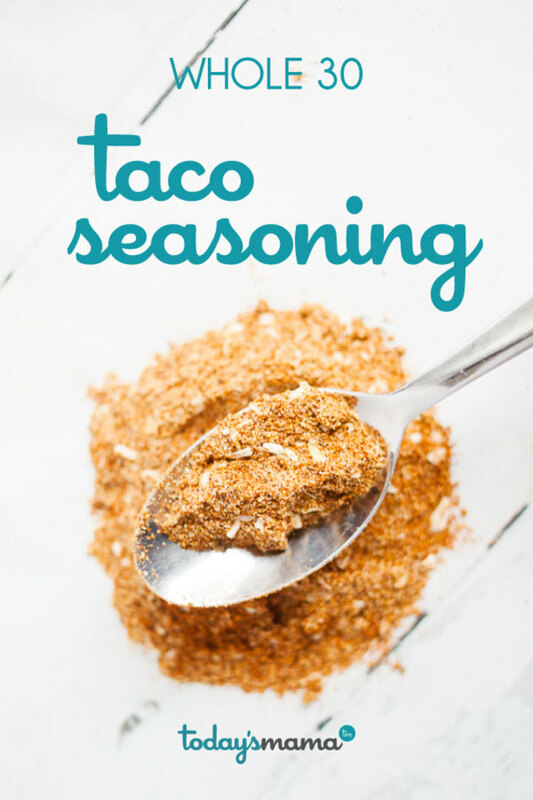 Quick and Easy Whole 30 Taco Seasoning. Save money, avoid creepy hidden additives, and win at your elimination diet with our Whole 30 Taco Seasoning! 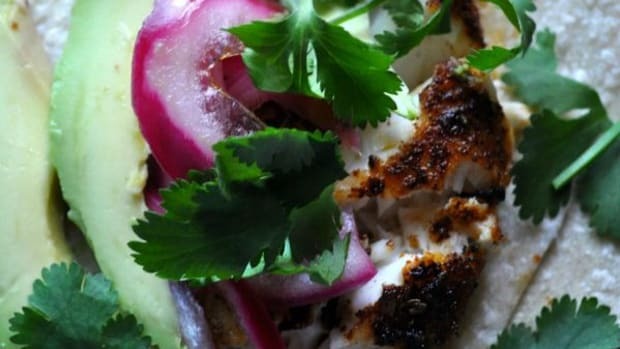 It’s great on so many dishes, you’re sure to reach for it on days other than Taco Tuesday. You might be rolling your eyes at me. Other Ingredients: Chili Pepper, Maltodextrin, Salt, Onion Powder, Spice, Corn Starch, Sea Salt. Contains 2% or Less of: Vegetable Oil (Canola, Soybean and/or Sunflower Oil), Silicon Dioxide (Anticaking Agent), Citric Acid, Sugar, Natural Flavor. In addition to many of these items being non-compliant for the Whole 30 program, I’m willing to bet there’s simply more there than you bargained for when you tore open that packet. Because you’re going to spend a lot of time standing in store aisles reading labels and being super annoyed. I did. But that’s the magic of the Whole 30 program. Honestly. It’s the single best thing I ever did for my health—to eliminate problematic food groups and then just see how I felt. It was amazing and it’s why I currently eat along Whole 30 guidelines about 80% of the time. Sure, I love chocolate and gluten-free waffles and I enjoy them both occasionally because they are 100% worth it. But a lot of the food that I used to eat regularly, out of habit and convenience? NOT WORTH IT. So eating clean and avoiding the frustration of dodging sketchy additives has led me to start making my own spice mixes. Go ahead...call me an overzealous hand wringer about the inclusion of fillers, sugar, soy, and anything partially hydrogenated in my spices. To which I would say...have you ever eaten something that didn’t sit well with you and wondered why on Earth your stomach has started gurgling? Or why you have a headache? You take that mental tally of ingredients and think, “None of that would make me feel lousy! It was just a taco salad with ground beef (safe), veggies (safe), salsa (safe), and dressing. And THAT’s where you get to learn a whole lot about your body by doing Whole 30. Because some people (ME!) can’t hang with those ingredients. They make me feel crummy and removing them from my food has made a huge difference for me. 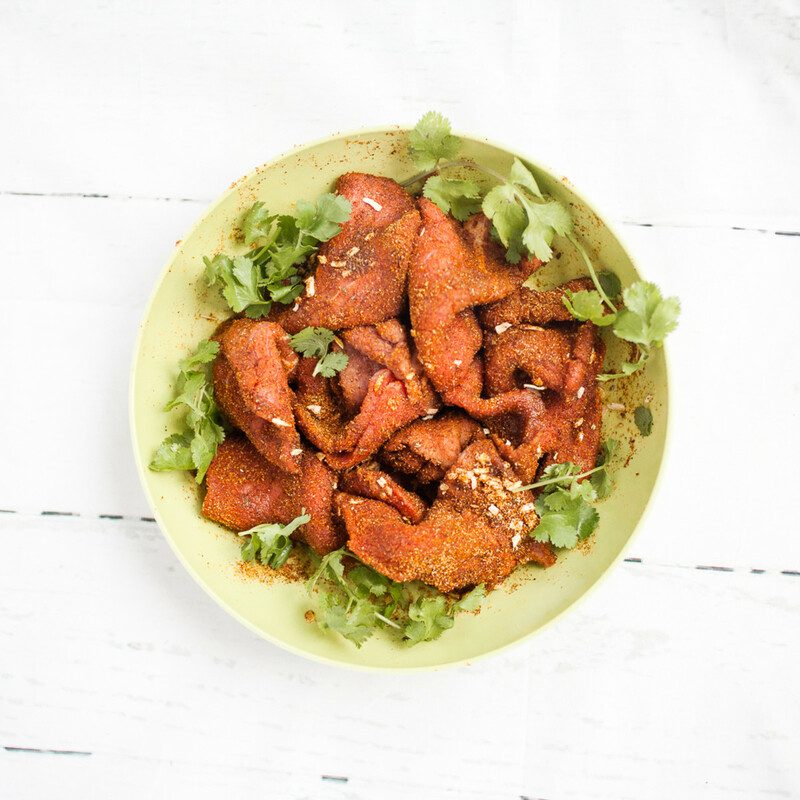 So if you’re ready to start saving money and eating clean, give our Whole 30 Taco Seasoning spin! 1. 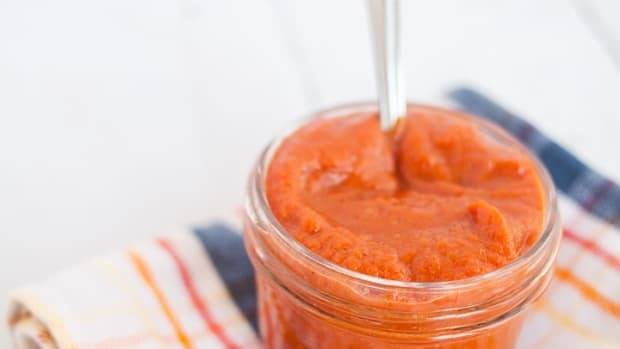 Mix all of the ingredients and save in a jar with a tight lid. Use as taco or fajita seasoning on steak, chicken, ground beef or ground turkey. Tacos are a family favorite at our house. For years we’ve had a weekly tradition of Taco Tuesday that featured the standard ground beef, corn tortillas, and all the delicious additions (I’m looking lovingly at YOU, shredded cheese and sour cream.) Admittedly, doing a Whole 30 required that I adjust my beloved taco habit. 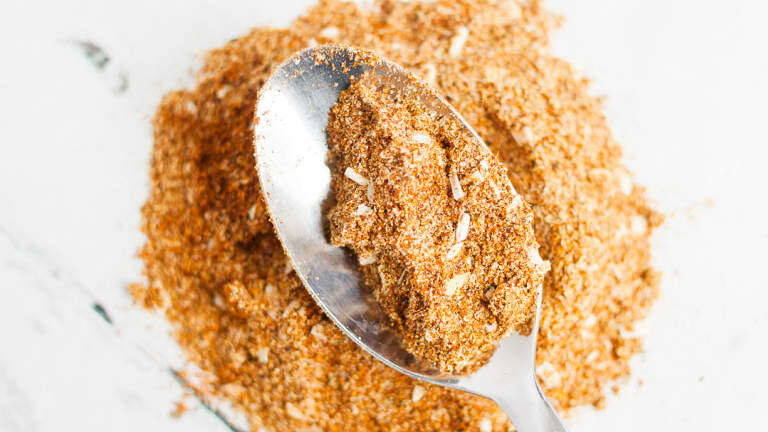 This Whole 30 Taco Seasoning is the key— use it on steak, chicken, ground beef, or ground turkey to spice up your taco repertoire. 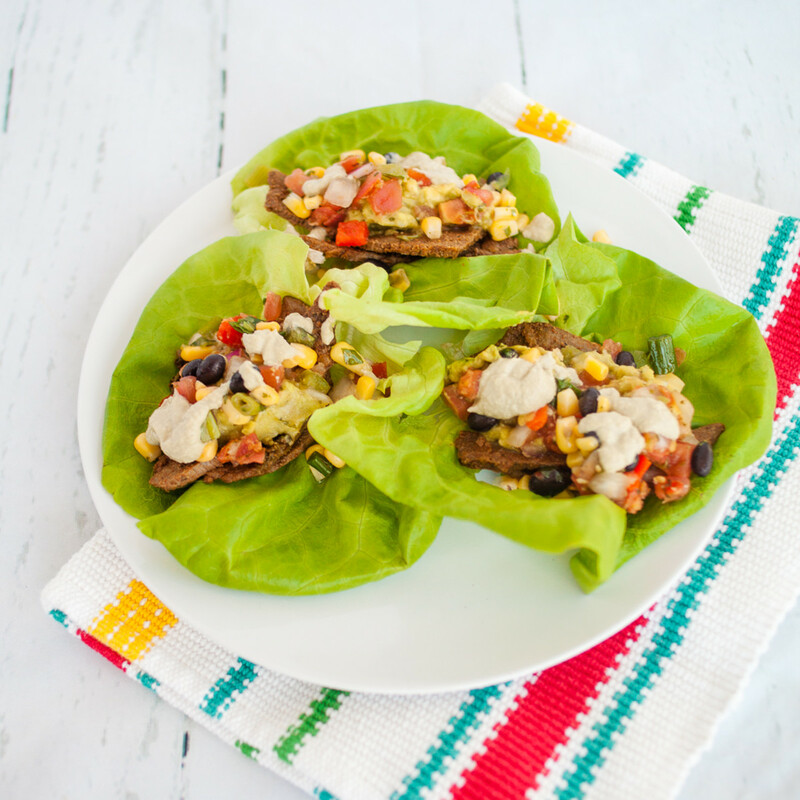 You can even add it to our Whole 30 Ranch Dressing for a spicy version for your favorite salad! 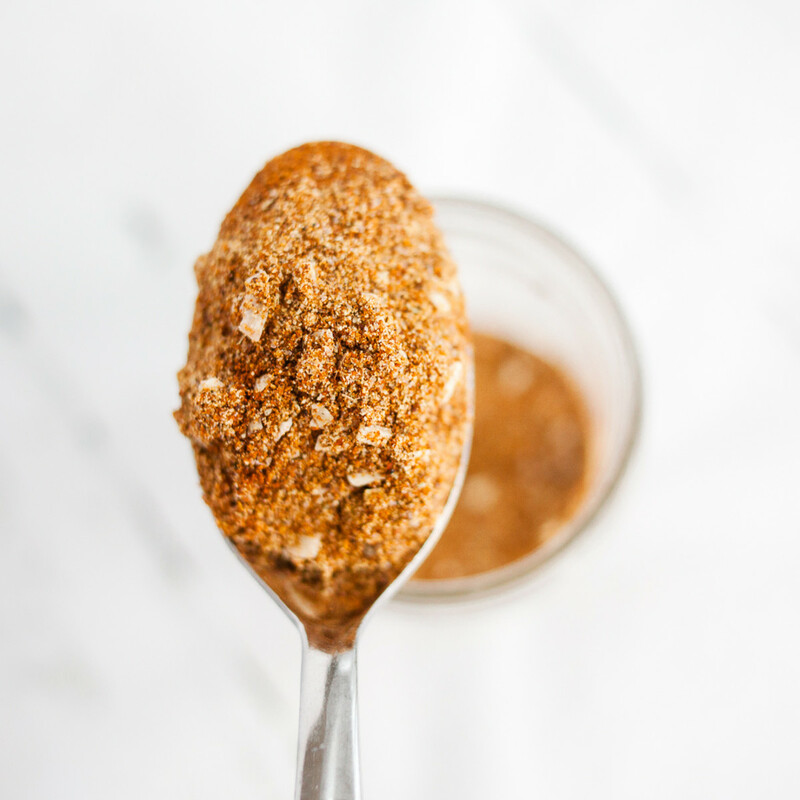 Why Make Your Own Whole 30 Taco Seasoning? Check out our other favorite taco recipes: Easy Taco Soup Recipe and 7 Easy Taco Recipes. True Elimination is WORTH IT. It might feel nit picky to lament the non-compliant elements of your favorite spices, but the magic of the Whole 30 program is elimination—the practice of completely removing all of the food groups that are known to cause inflammation, hormone disruption, digestive discomfort, and mental fog. As you eliminate these food groups and get several weeks of clean eating under your belt, you may be more sensitive to small quantities of food additives or non-compliant ingredients. For example—corn gives me a terrible headache and peanuts give me a stomach ache. Even small amounts will trigger these reactions for me, so I am diligent about avoiding them so I don’t find myself side-lined by a preventable headache. 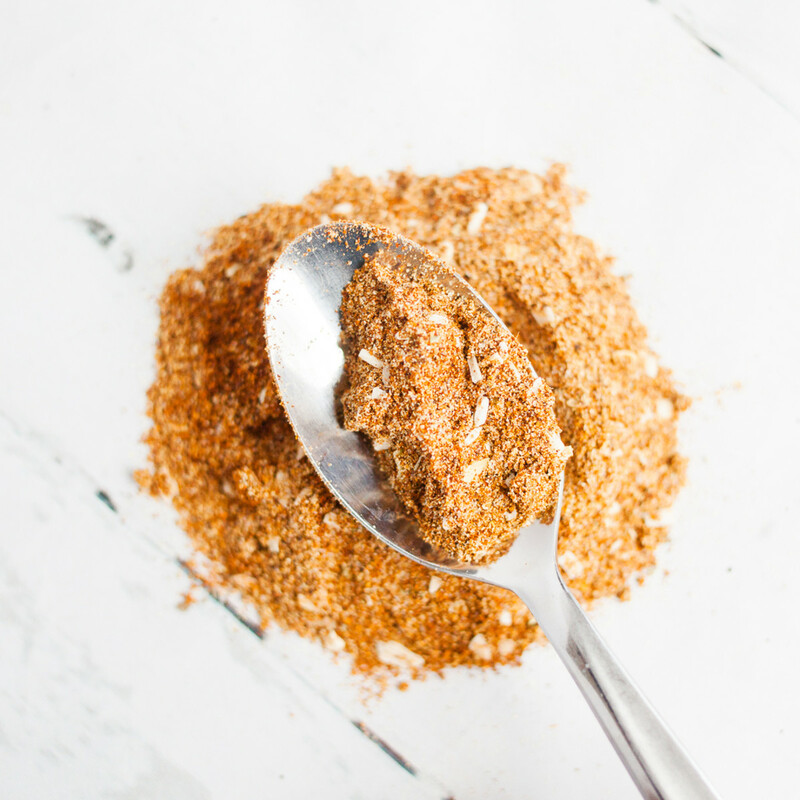 Making your own dressings or spice mixes like our Whole 30 Taco Seasoning is a great practice because while the amount of sugar in a spice blend might not seem like much, but when you consider that sugar is hidden in so many of the foods that we eat every day, it all adds up! 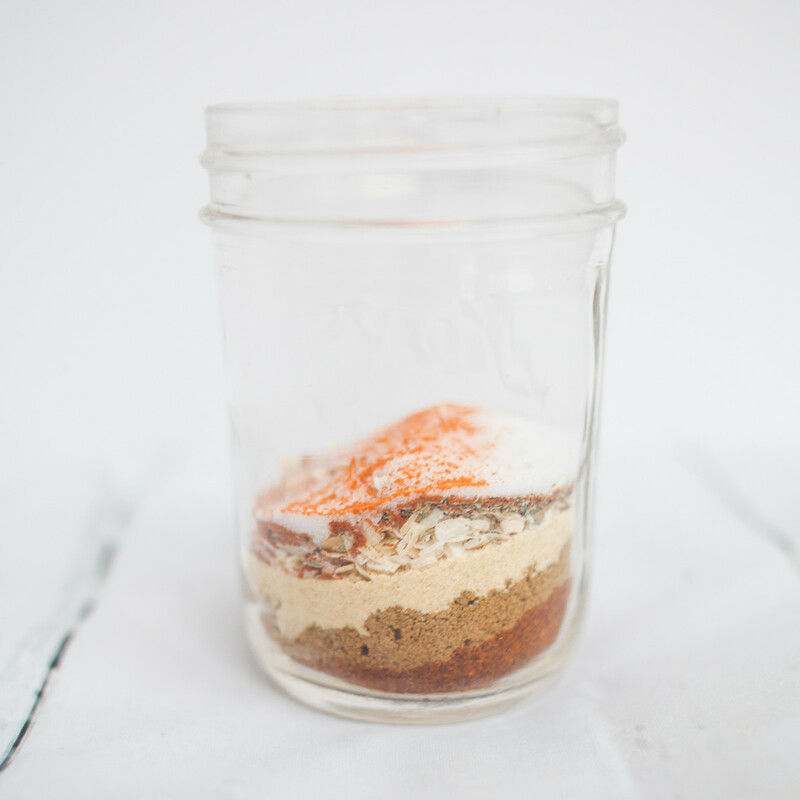 A little bit in our yogurt, plus some in our peanut butter, a few grams in our salad dressing, a bit in our spice blends and sauces...if you start to keep track, you’ll be surprised and how much hidden sugar you’re consuming. So you may have managed to navigate your day, repeatedly saying “No thank you” to the donuts, cookies, and candy sprinkled through your life, only to realize you’ve consumed well over the daily recommended amount of sugar for an adult woman—just from all of the sneaky hidden sugar in your “healthy” foods. 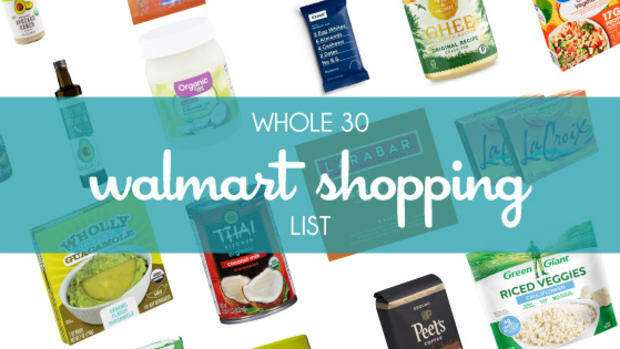 PLUS our Whole 30 Walmart Shopping List! 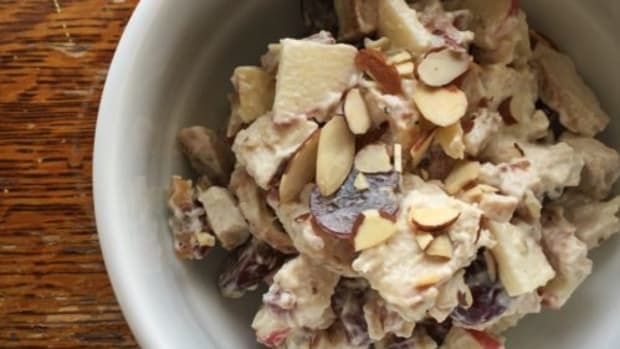 This Whole 30 breakfast recipe is so simple and delicious. 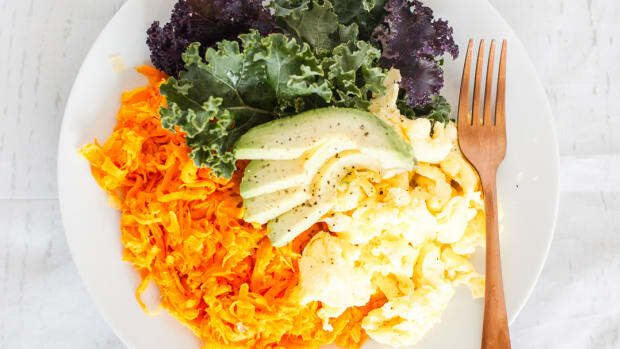 Whole 30 breakfast sweet potato hash is what I’ve eaten it almost every morning for the last three years. 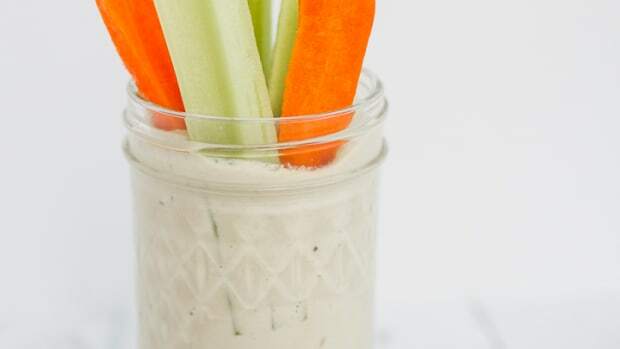 This Whole 30 Ranch Dressing is so creamy and flavorful and completely guilt free. 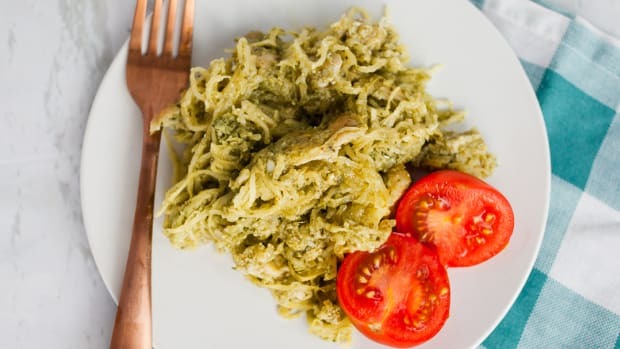 This Whole 30 Spaghetti Squash Pesto Bake could not be easier to put together—or be more delicious for so little effort! 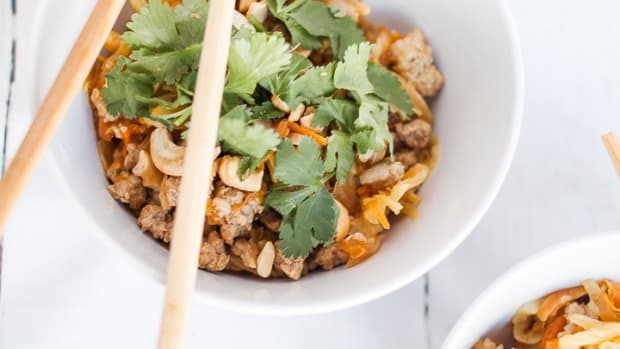 If you are craving some Chinese take-out but trying to take it easy on noodles and wrappers, this whole 30 egg roll in a bowl is just the dinner you need!